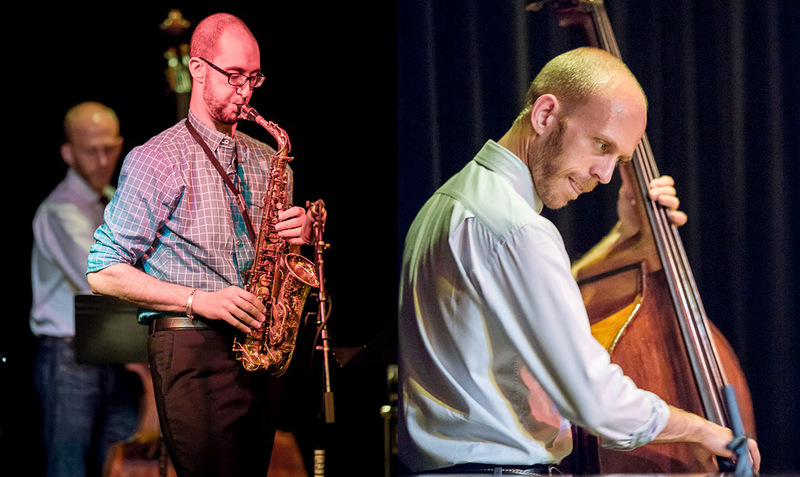 Friday night at the Royal Room Earshot Jazz presented the Steve Lehman Trio in a wonderful set of music. 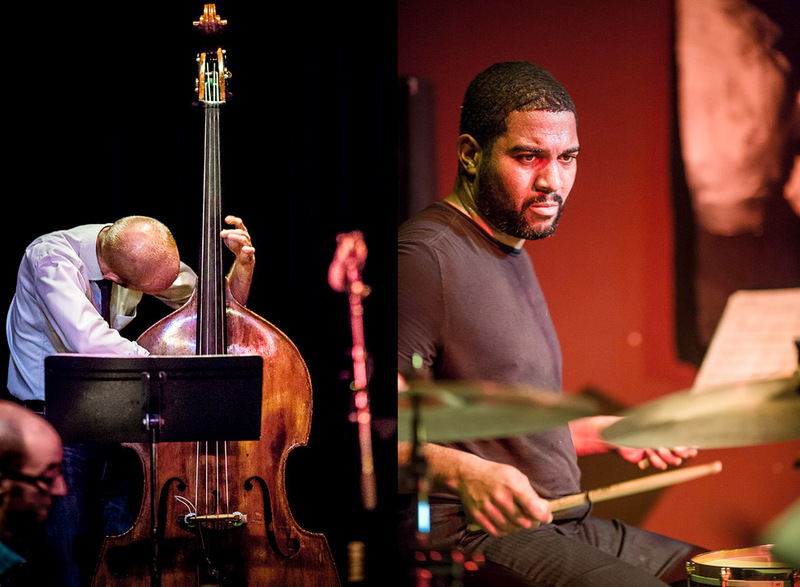 Lehman’s standing at the jazz vanguard is affirmed – here with bassist Matt Brewer and drummer Damion Reid. 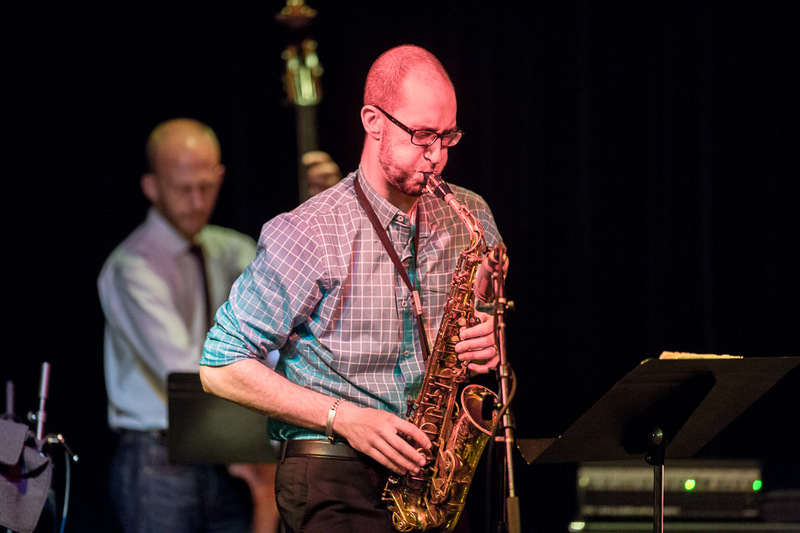 Described as “one of the transforming figures of early 21st century jazz” by The Guardian, alto saxophonist, composer, performer, educator and scholar Steve Lehman works across a broad spectrum of jazz-based musical idioms. His Travail, Transformation & Flow (Pi) was chosen as the #1 Jazz Album of 2009 by the New York Times. 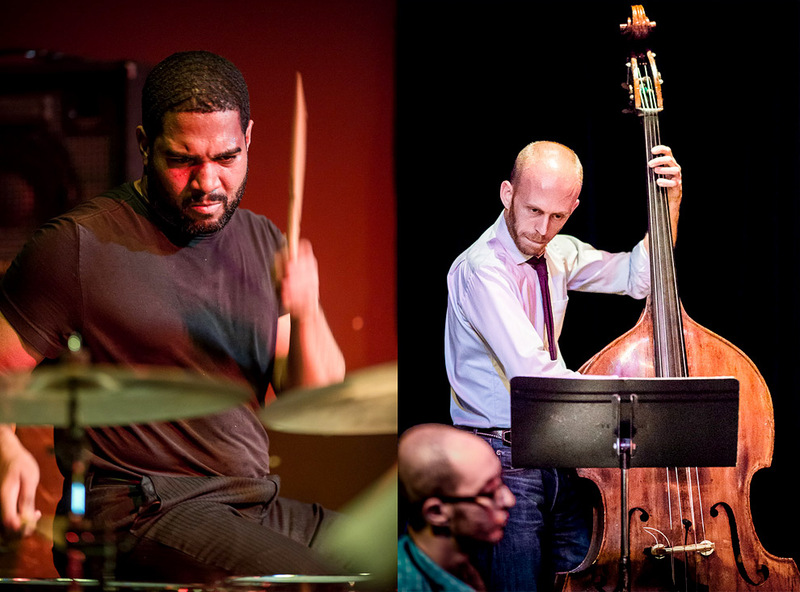 Lehman has performed and recorded nationally and internationally with his own ensembles and with Anthony Braxton, Vijay Iyer, Jason Moran and Meshell Ndegeocello. Lehman received a master’s in composition (2002) from Wesleyan University, where he studied under Anthony Braxton while concurrently working with Jackie McLean at the Hartt School of Music. He received a doctorate with distinction in music composition from Columbia University (2012). 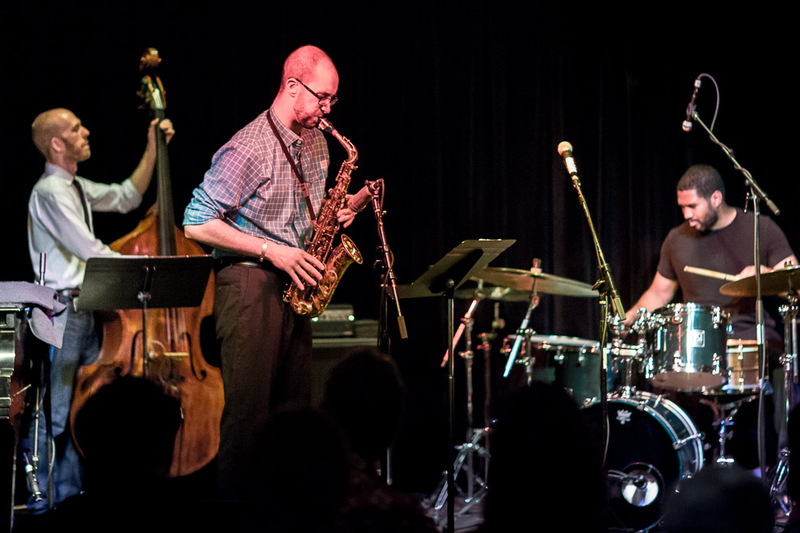 Friday evening, Lehman performsedwith his trio, whose most recent recording, Dialect Fluorescent (Pi, 2012), was called one of the Top 10 recordings of 2012 by over thirty publications, including Spin, the Denver Post and the Village Voice.